Get answers to the most frequently asked questions about our LASIK procedures. We work with you to provide the very best in care and convenience. WLEI offers a variety of ways to make your LASIK procedure more affordable. Whether you are considering Laser Vision Correction, Refractive Lens Exchange (RLE), Premium Cataract Surgery or Implantable Collamer Lens (ICL), the Burlington Laser Eye Centre doctors and surgeons will provide you with a clear recommendation on the procedure that is best suited for your eyes and your lifestyle. Deciding to proceed with eye surgery, whether elective or not can be overwhelming. Like your fingerprint, no two eyes are the same. It is important to know your options and ask the right questions so that you feel 100% confident in your decision. At the Burlington Laser Eye Centre our doctors and staff will always go above and beyond to support you and educate you on the safest options available for your eyes. 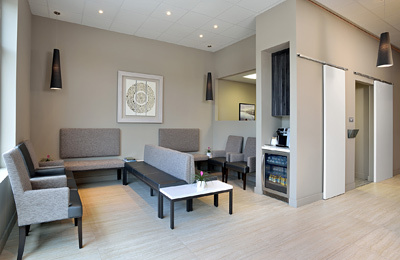 Patients have a myriad of options when choosing a surgical centre. Together, and with your own Optometrist, we will establish a plan that will provide you with options that suit your lifestyle. No two eyes are the same. You are unique and you deserve a comprehensive consultation to assist you in making this life changing decision. At the Burlington Laser Eye Centre, our job is to educate you on these options. We aim to deliver a stress free, informative consultation with our team of professionals and let you decide how and where you want to proceed with your eye surgery. You need to have the greatest confidence and trust in the professionals and eye care facility you choose. At the Burlington Laser Eye Centre, we look forward to meeting each and every patient that visits our clinic and doing everything in our power to ensure optimal surgical outcomes and patient experiences.